Arika is a peaceful holiday retreat where guests are made to feel very much at home. Surrounded by nature and gentle bird call, Arika is an ideal setting for relaxation while exploring the fascinating heritage sites of the Cultural Triangle. Rest and relax at one of the luxurious rooms with world class facilities and services. Experience the authentic Sri Lankan gastronomical treats along with an array of fusion dishes to suit you. 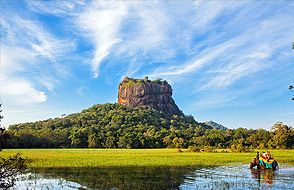 Experience some of the unique attractions in Sri Lanka, conveniently located. Deviating from the main A9 roadway which connects Kandy and Dambulla, one comes across a path surrounded by a lush natural forest leading to one of the most unique and secluded getaway spots in the serenity of rural Sri Lanka – Arika. 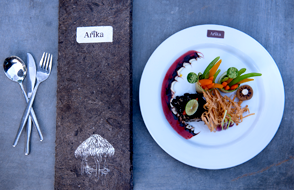 Named after the serene and intricate water lily, Arika is a peaceful boutique hotel set amidst landscaped gardens by a confluence where a gently flowing stream meets a gushing river. Arika has been designed with great respect to nature with minimal impact on the surrounding natural environment. The Nine well-appointed rooms with balconies/verandahs overlooking the water stream, provides much privacy. 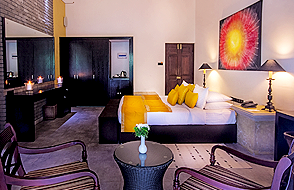 All rooms are fully equipped with modern facilities and provides for complete rest and relaxation. Arika is a convenient base to explore the ancient heritage sites of the Cultural Triangle and the historic cave temple of Dambulla, is just one kilometer away. The magnificent Sigirya Rock Fortress, ancient kingdoms of Anuradhapura and Polonnaruwa – all UNESCO World Heritage sites are also located about 30 minutes to an hour away. Wildlife Enthusiasts will enjoy exploring the jungles of Minneriya & Kaudulla National Parks located just 45 minutes away.